subscription (GB) Your browser does not support any audio element. Preorder or obligation for the purchase of a wine, even before it was bottled or in extreme cases even before the vintage (French sur souche: from the trunk = vine). In English, the term "futures" (analogously for "future trade") is used. One wants to assure oneself thereby of special wines, which are still more favorable than afterwards in the normal wine trade, This is particularly popular in times of strong demand for very good vintages of usually well-known producers. 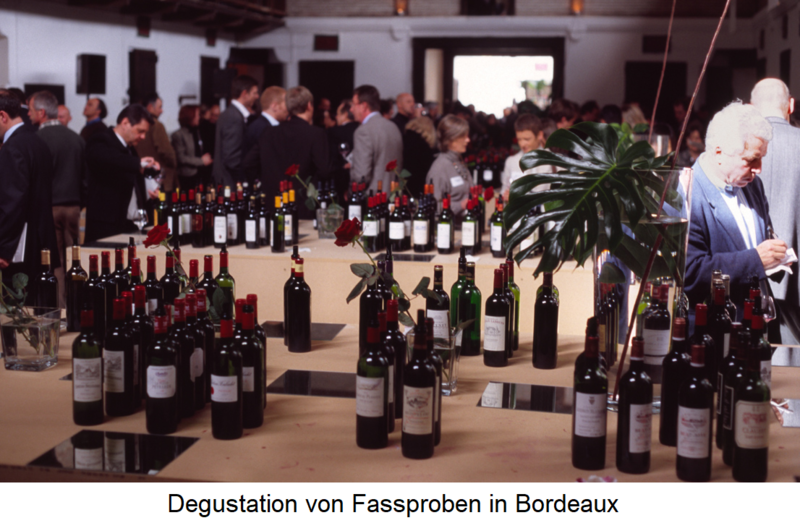 This is especially for the Cru Classé wines of Bordeaux is used for whole vintages, but is increasingly used by other wineries, the so-called Garage wines produce (special wines of not infrequently excellent quality in often smallest quantities). As a prerequisite for pre-order will be professional tastings and wine reviews the young wines even before the bottling carried out. This page was last modified at 19 February 2019 at 17:49.